A nice, less expensive Geisha. It is traditionally styled. Classic black style. 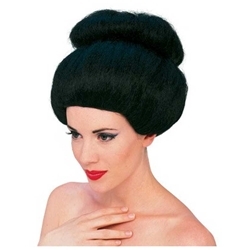 This is a great classic wig for a geisha. 100 % Synthetic. Hand Wash.